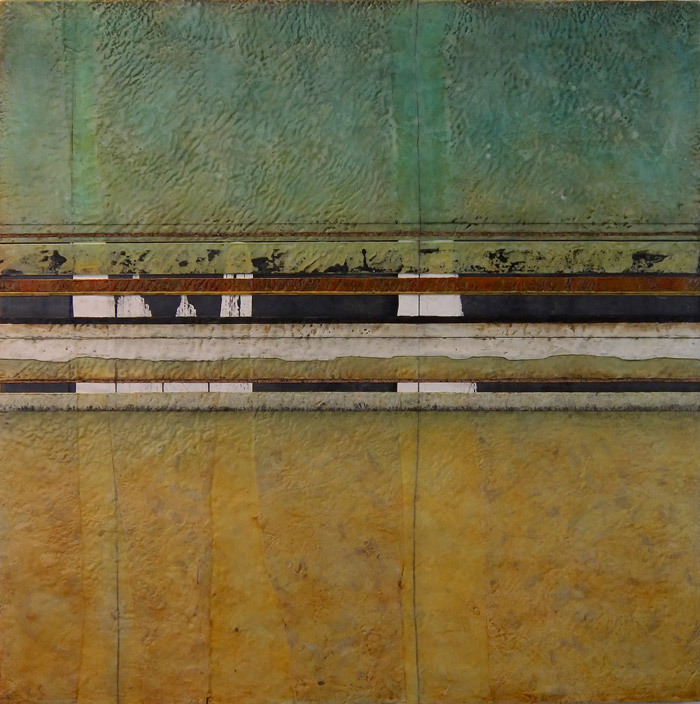 The horizontal line has been a consistent presence throughout my current work. 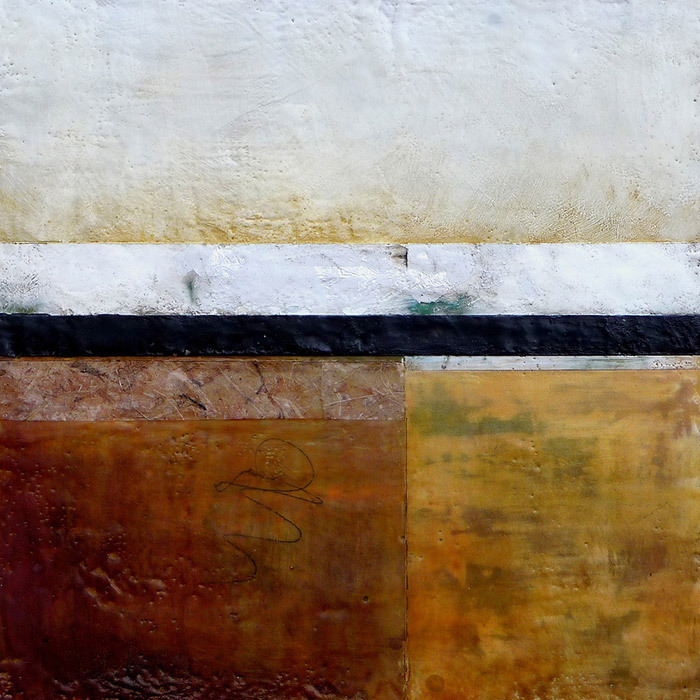 For me it acts as a grounding element that not only holds and defines the picture plane, but also references my experience of time and place. 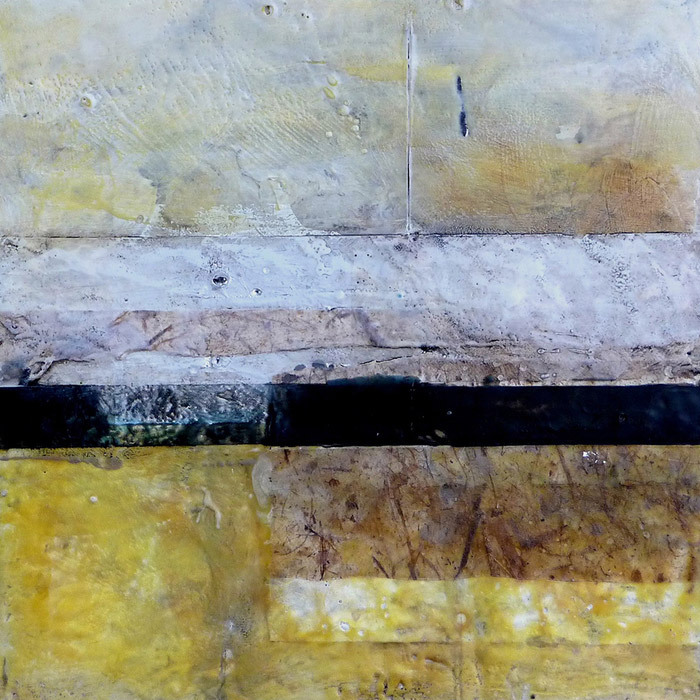 It alludes to the vast space and geology of the western landscape where I live. 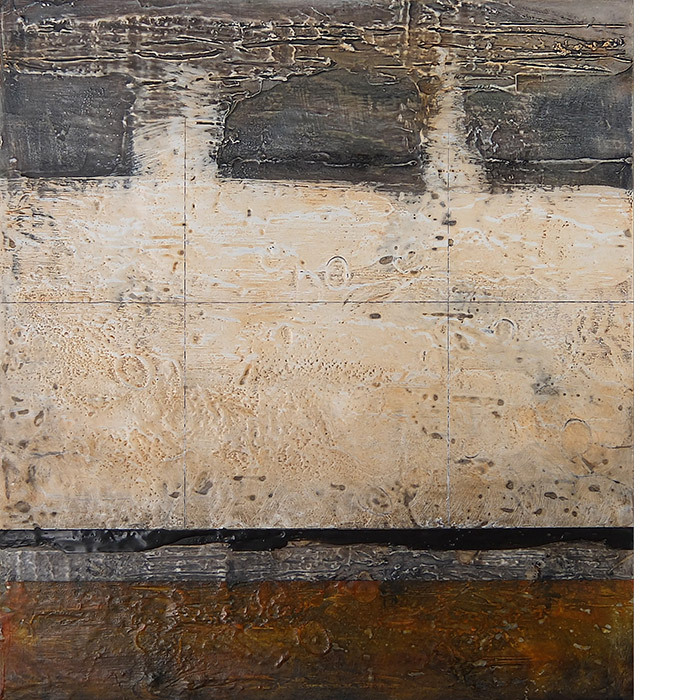 There, time makes itself present in horizontal layers evidencing the past, both building up and wearing away in a continuous process. 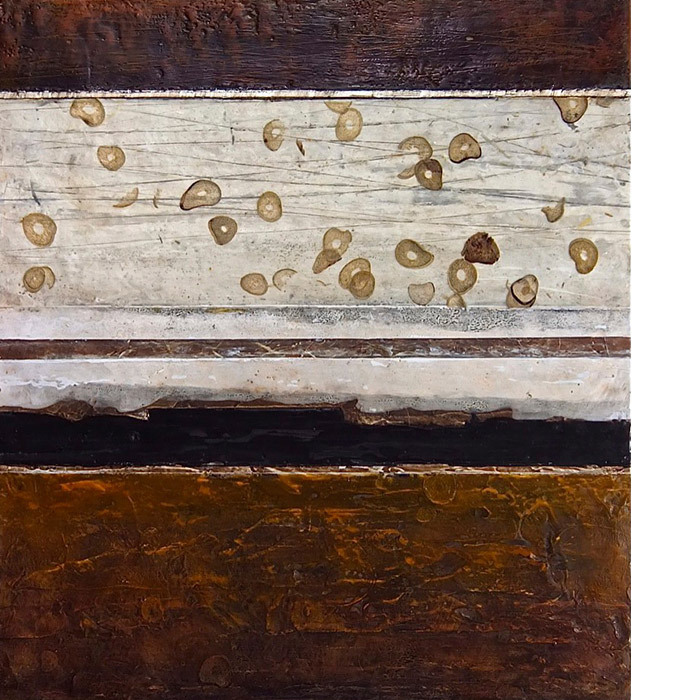 My many layers of translucent strata composed of pigmented wax, oil, paper and other media, are built up and worn away similarly in a compressed period of creative time. 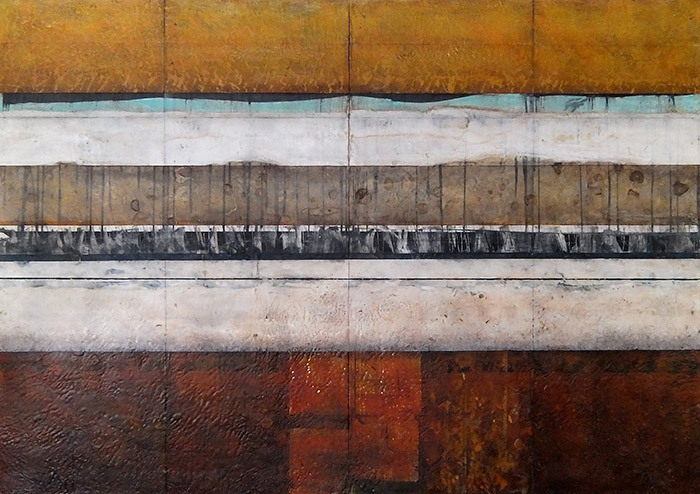 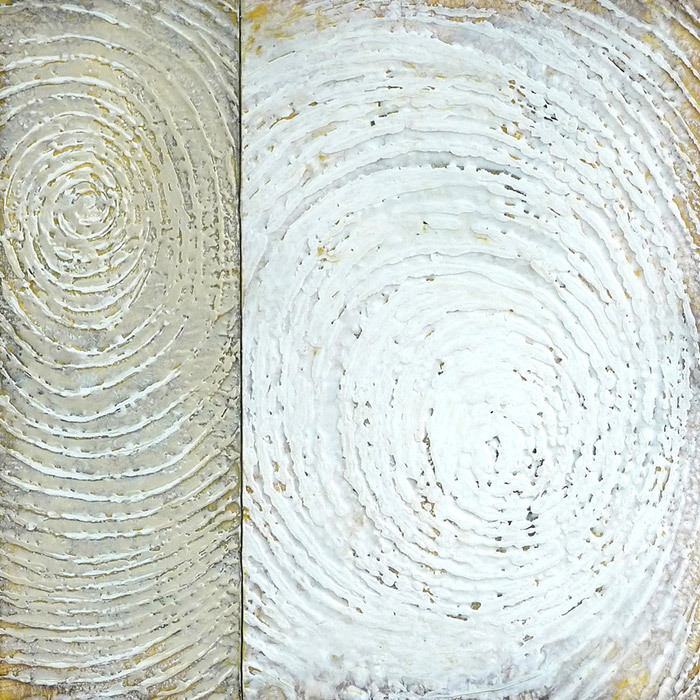 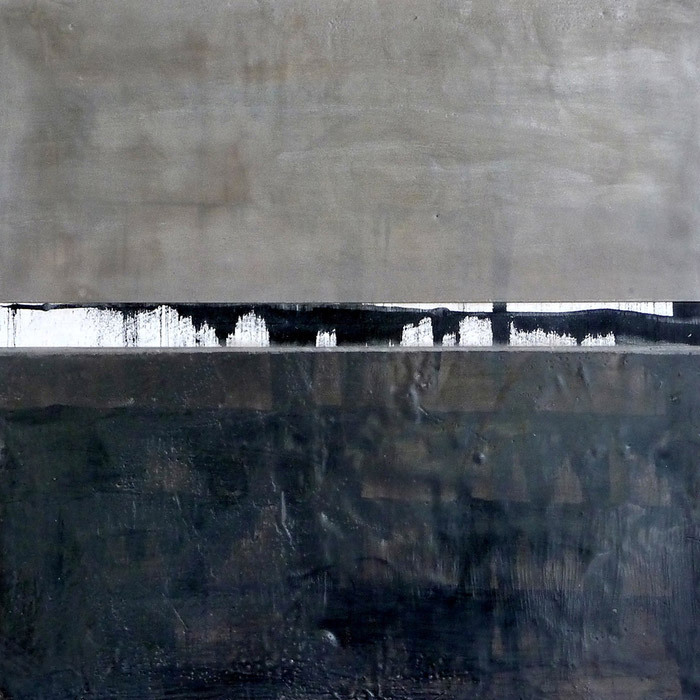 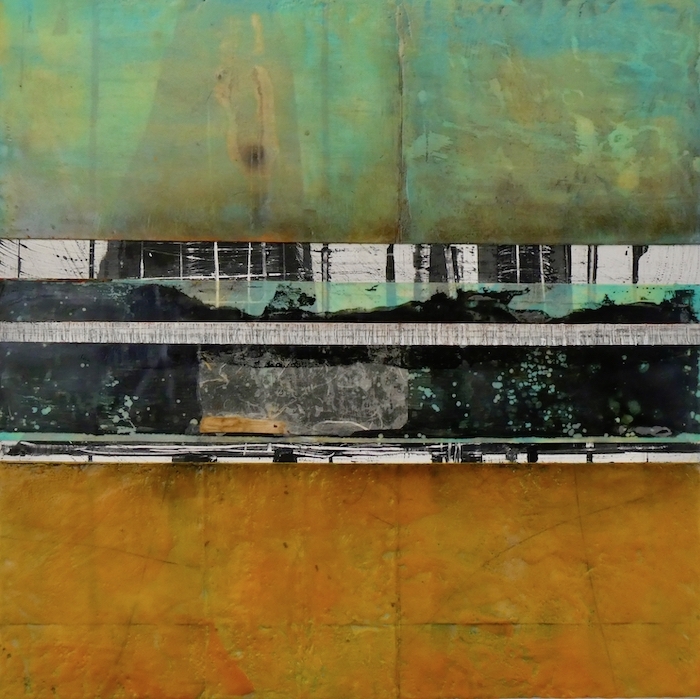 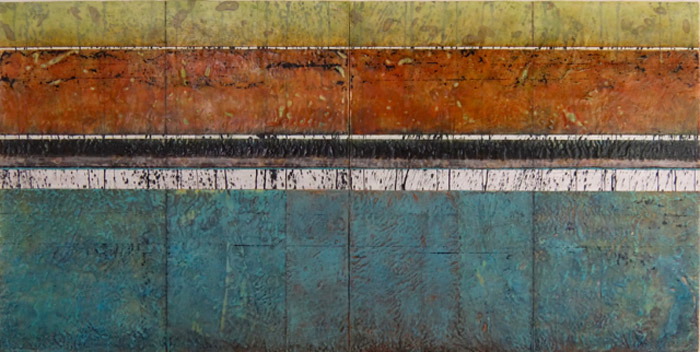 Jeff Juhlin is a nationally recognized artist known for his Encaustic / Mixed Media painting and printmaking work that evokes a meditative and grounded exploration of color, space and mark making. 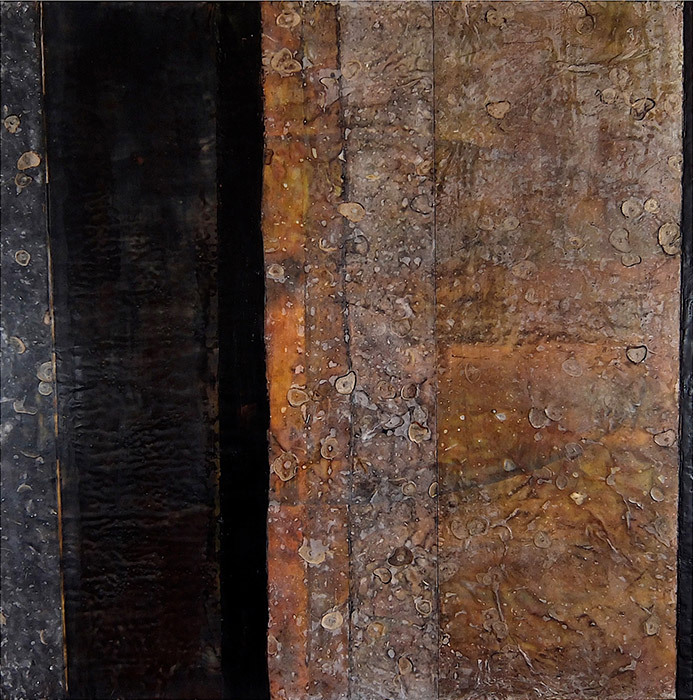 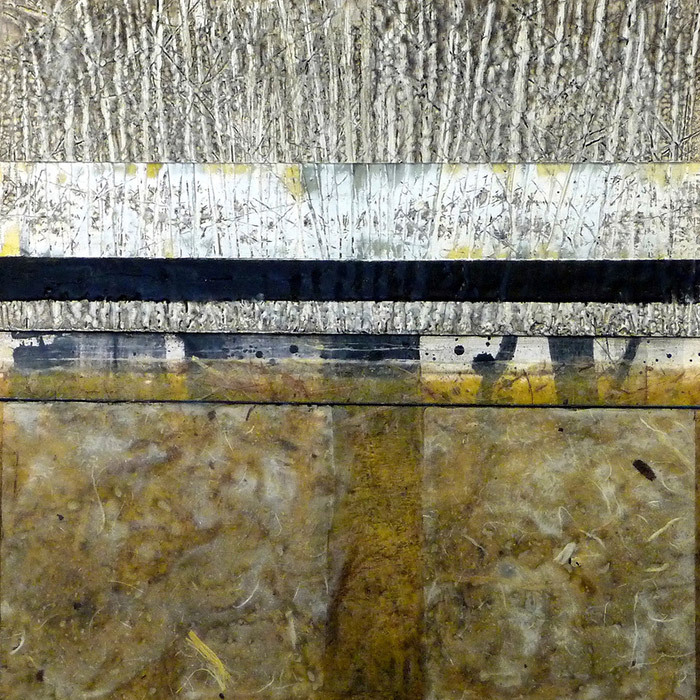 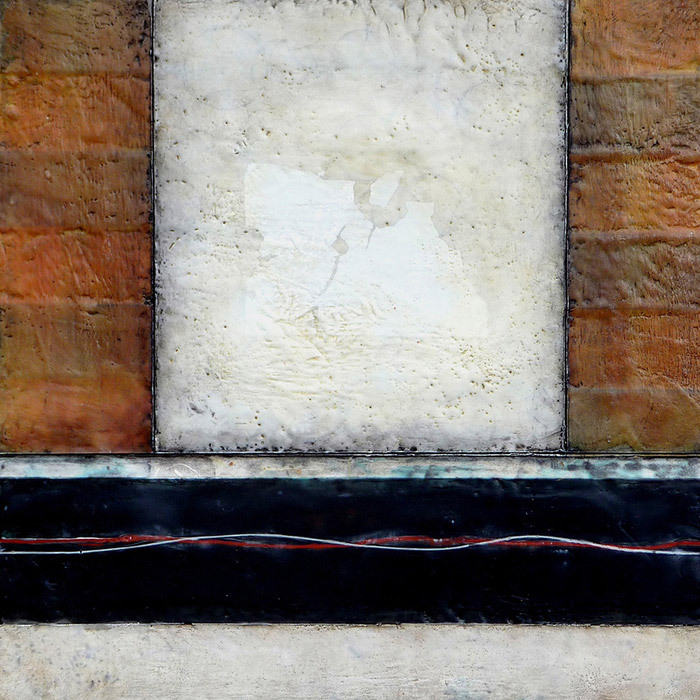 Jeff has been working with Encaustic for over 15 years and completed Residency/Fellowships at the Virginia Center for Creative Arts and Moulin Au Neuf, Auvillar France. 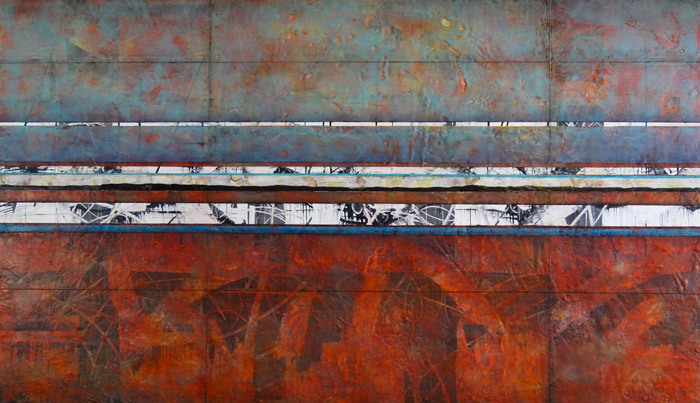 He has been an Artist in Residence at the Hui Art Center in Maui, Hawaii during the winter months from 2010-2017. 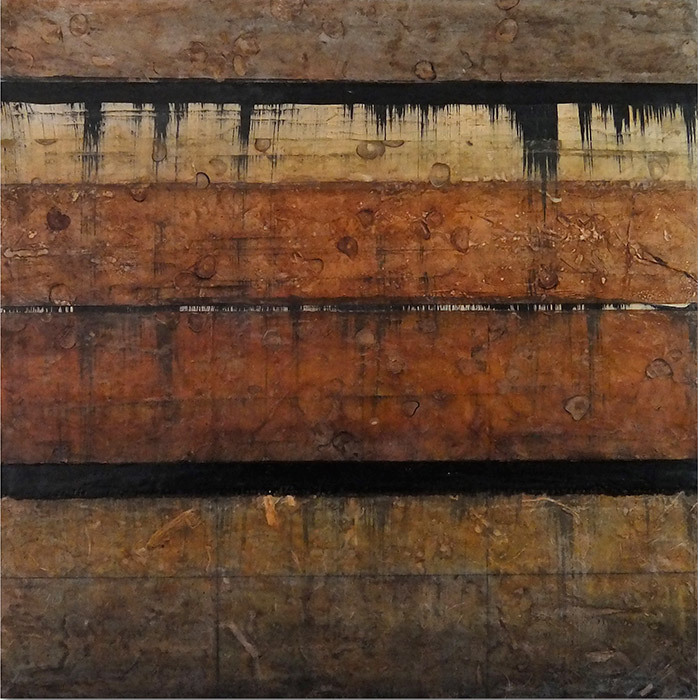 His work is included in numerous national and international exhibitions including recent exhibits in France and Korea. 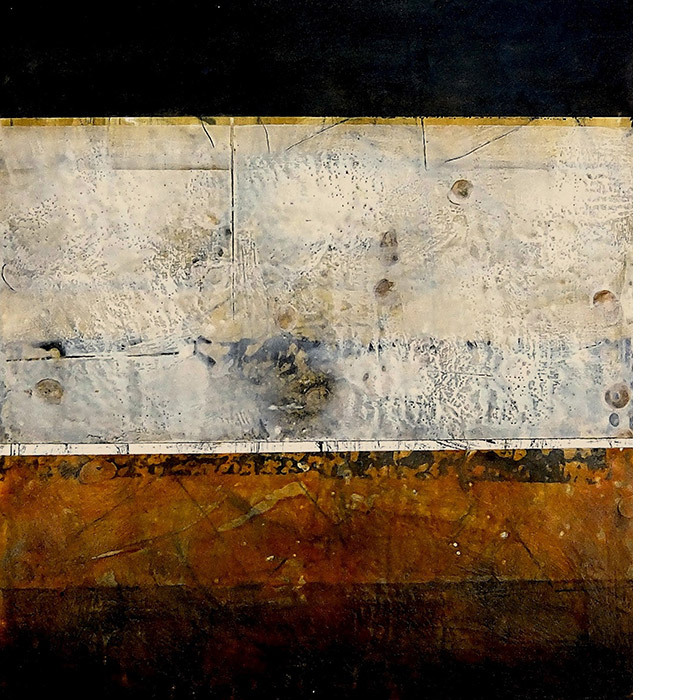 Born in Salt Lake City, Juhlin studied at the University of Utah and the Bellas Artes, San Miguel de Allende, Mexico and holds a BFA from the San Francisco Art Institute. 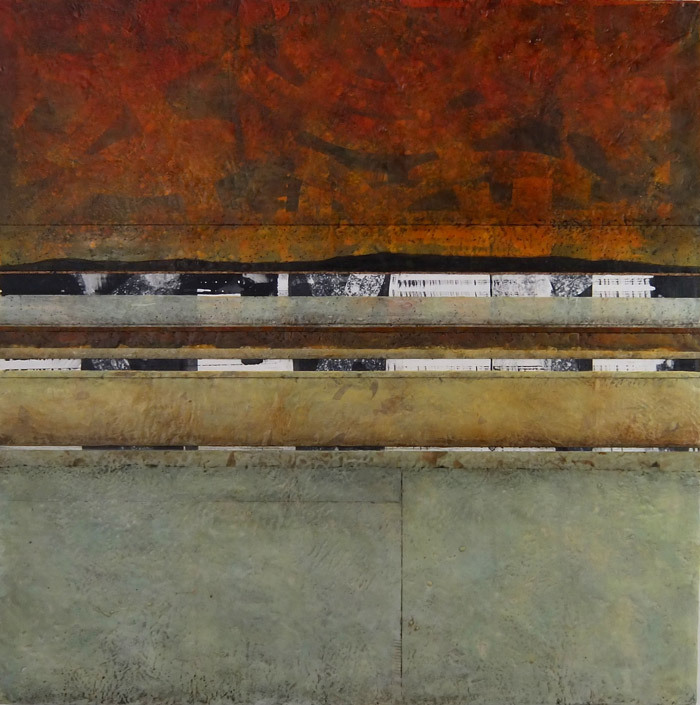 Jeff”s work has been featured in several publications including Encaustic With A Textile Sensibility by Daniella Woolf and Encaustic Art in the 21st Century by Anne Lee & Ashley Rooney. 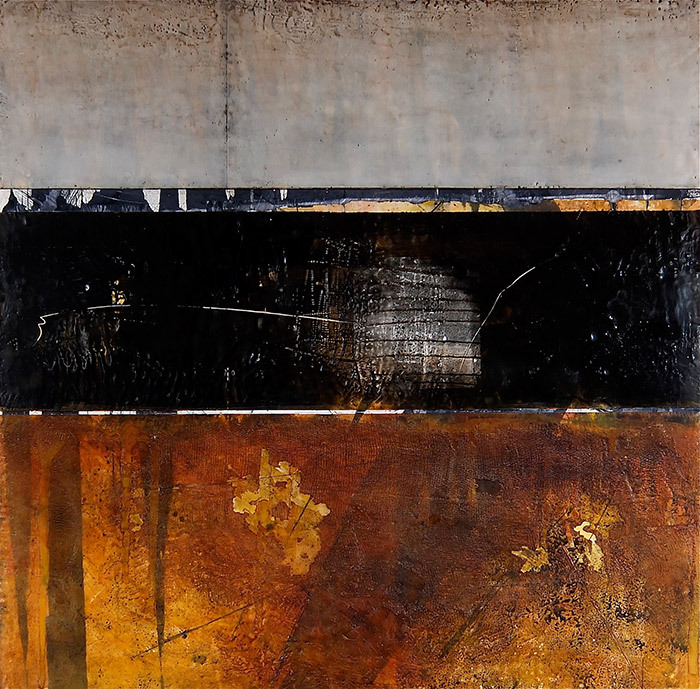 He is represented in galleries in Denver, Santa Fe, Salt Lake City, Scottsdale, and Laguna Beach. 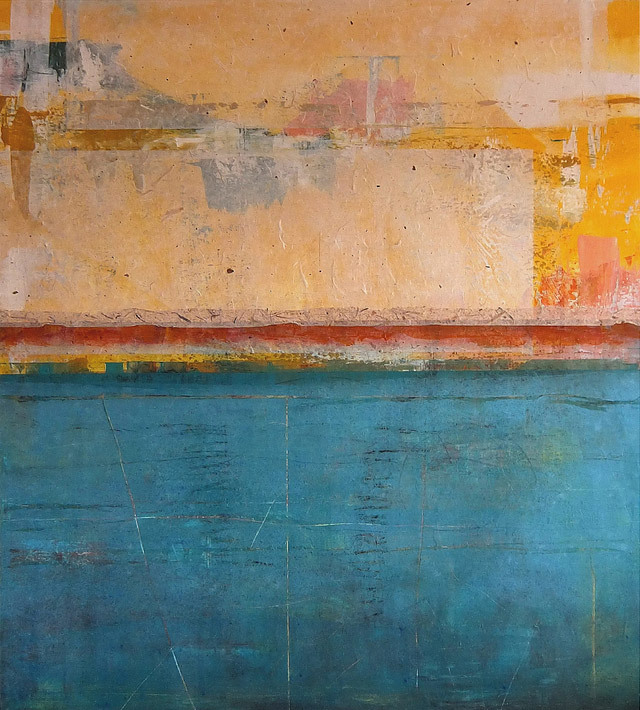 Jeff divides his time between his studios in Salt Lake City and Torrey Utah.